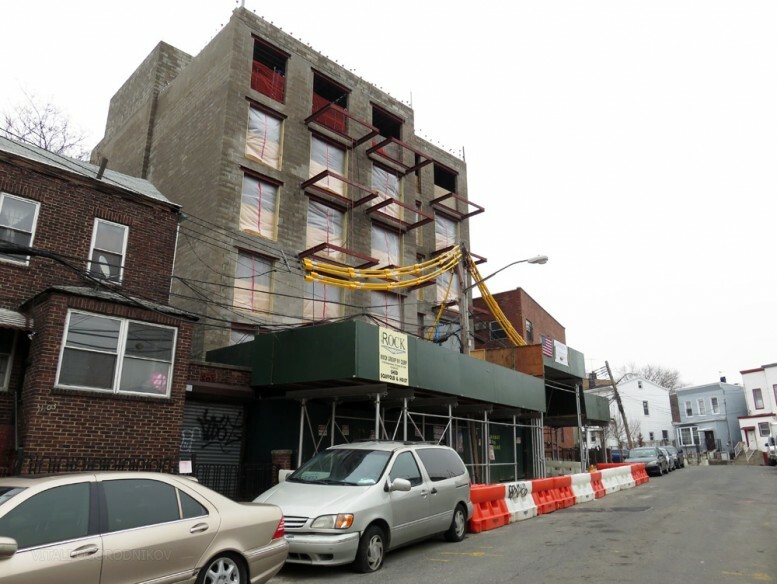 A six-story residential building has topped out at 11-07 Welling Court in western Astoria, in the middle of one of New York City’s most important street art and graffiti destinations. The mid-block building will have 27 apartments. The balconies, floor-to-ceiling windows, and roof deck face west towards Hallets Cove on the East River, which flows just one block away. Most residences will have sweeping vistas of the river and the Manhattan skyline beyond, or they will until the single-story commercial properties across the street make way for new development. Although no developments are planned yet, the neighborhood’s steadily rising profile makes this a distinct possibility. Aside from the commercial neighbors, the adjacent building stock consists of small homes. The new development replaced a two story, four-family apartment building built in 1931. The property is a 6,218-square-foot lot, with a floor to area ratio of 3.0. The R6A zoning allows for 18,652 buildable square feet, with a maximum lot coverage for of 65 percent and a 70-foot height limit. Parking provisions are required for at least 50 percent of the 27 unit maximum allowed by the zoning. The building will be faced with a simple but dignified red brick façade, with white stone wrapping around the corners. The façade is set back from the sidewalk, yet the setback is in line with the neighbors on either side. The development is taller than most of the neighborhood, but alleyways provide breathing room for the buildings on either side. Building permits were issued to Halil Todic in November 2015. AKI Renovations Group, Inc. is listed as the general contractor. Completion is expected in fall 2017, although the project appears ahead of schedule, given its visible state of progress. The building stands directly across the street from a graffiti and mural art destination. In 2006, Ad Hoc Art, a Brooklyn-based design house, started the Welling Court Mural Project, an outdoor “art gallery” spread across several blocks around Welling Court. As of 2012, the Mural Project had 90 spots with paintings by over 70 artists. The annual mural panting, which takes place in the summer, has become a neighborhood event with dancing, barbecue, and bike racing. In 2013, the project was featured by the Huffington Post on its list of the city’s ten premiere locations for graffiti art. 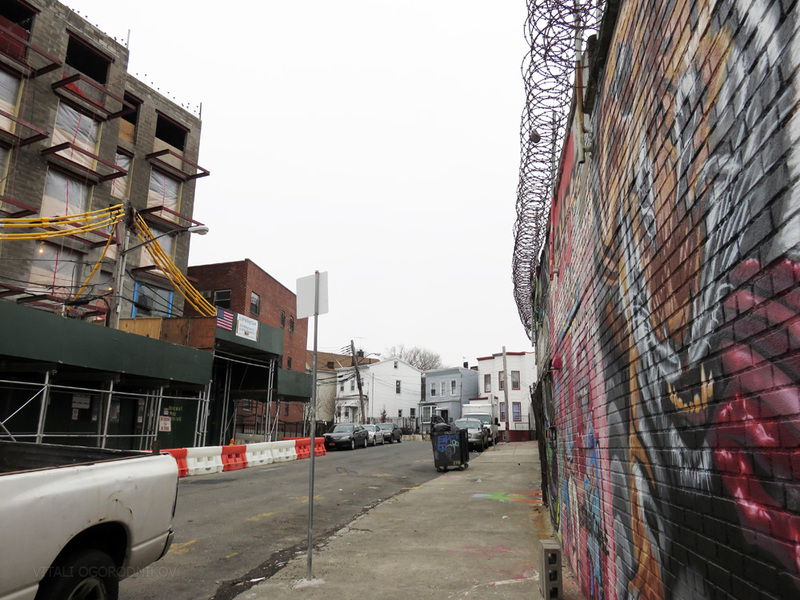 Aside from 5Pointz, Welling Court was the only Queens destination on the list. 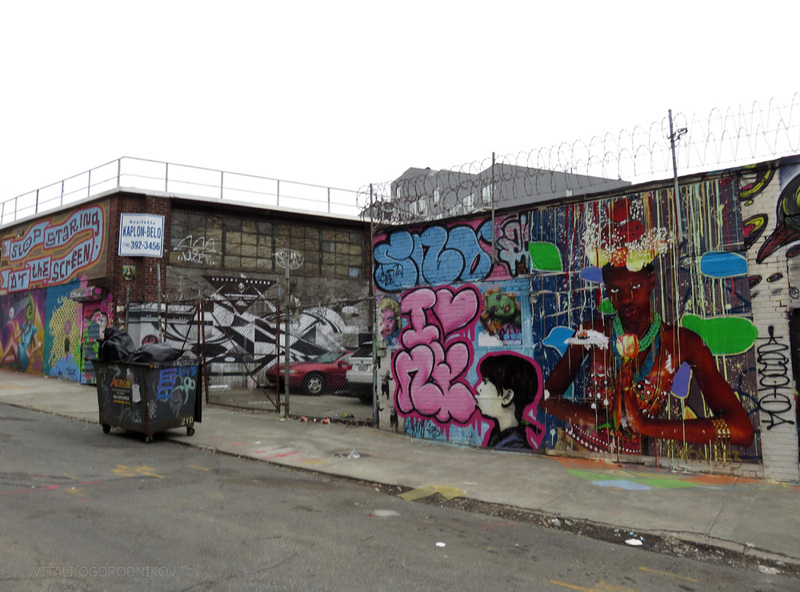 Since the demolition and redevelopment at 5Pointz, the importance of the project for the borough’s street art is greater than it has ever been. The block-long Welling Court runs uphill and curves in a manner that contrasts with the typical Astoria streetscape. The street is part of an irregular urban pocket created by an odd junction of clashing street grids. To the west and north, Vernon Boulevard ends its nearly three-mile-long run along the East River waterfront and turns east, where it briefly turns into Main Avenue and then continues as Astoria Boulevard. To the south and east, 30th Avenue and 12th Street roughly mark an edge of Astoria’s street grid of long, rectangular blocks. The Hallets Point peninsula lies to the north. 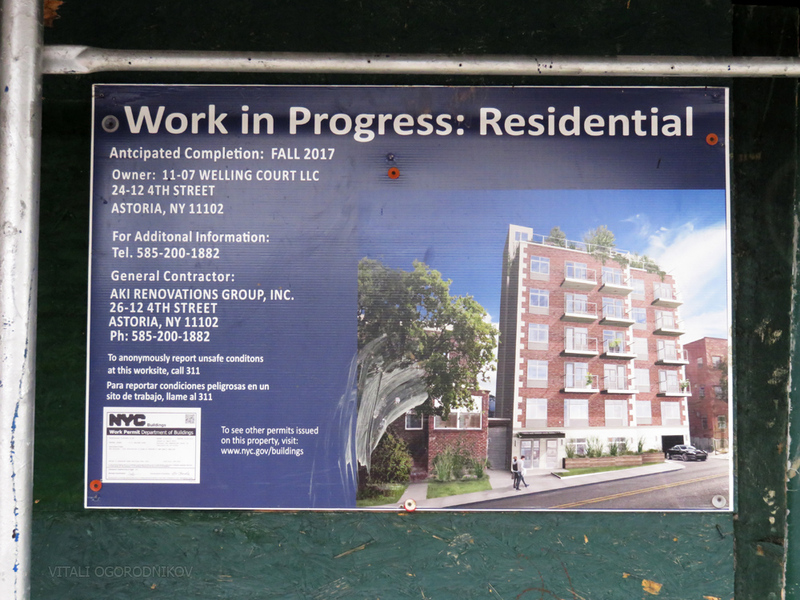 Its centerpiece is the Astoria Houses project, which consists of 22 six- and seven-story buildings spread across 32.3 acres. The public housing complex holds 1,102 apartments and 3,135 residents. The rest of the peninsula is accessible by just one street open to vehicular traffic, and it’s lined with a hodge-podge of other housing projects, private homes, industrial properties, and parking lots. Two Coves Community Garden and the waterfront Goodwill Park lie between the peninsula and Welling Court. A waterfront promenade runs along Vernon Boulevard, where the Socrates Sculpture Park, four blocks to the south, serves as an important local venue for a different type of outdoor urban art. Despite its cultural prominence, the quiet neighborhood is off the beaten path and somewhat desolate. However, new developments such as Hallets Point and Astoria Cove will bring new residents, retail, and public space to the underused waterfront within the coming decade. 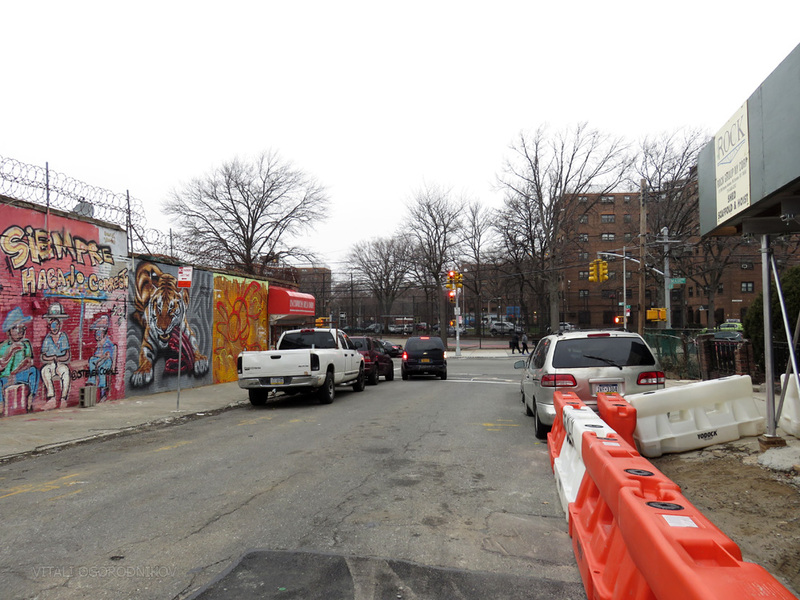 This development is bound to make Welling Court into a more active and pedestrian-friendly neighborhood, but the improvements may come at the expense of its gritty, down-to-earth ambiance. Unfortunately, public transit access will remain a minor inconvenience, at least by Astoria standards. The nearest subway station, 30th Avenue on the N and Q trains, lies two-thirds of a mile to the southeast. But several bus routes run within a two-block radius. If the recently proposed Brooklyn-Queens waterfront streetcar becomes a reality, the brand new transportation system would make the Welling Court’s colorful blocks much more accessible. 4 Comments on "11-07 Welling Court Tops Out In Astoria’s Welling Court Mural Arts District"
Spare us your pompous nonsense. Street Art is nothing more than graffiti, which (unless property owner(s) gives o.k.) is vandalism. holy crap that is hideous. so typical of the crappy cheap developers plaguing queens these days. Those buildings to the right are on maps from the 1700s and those to the left from 1850s. 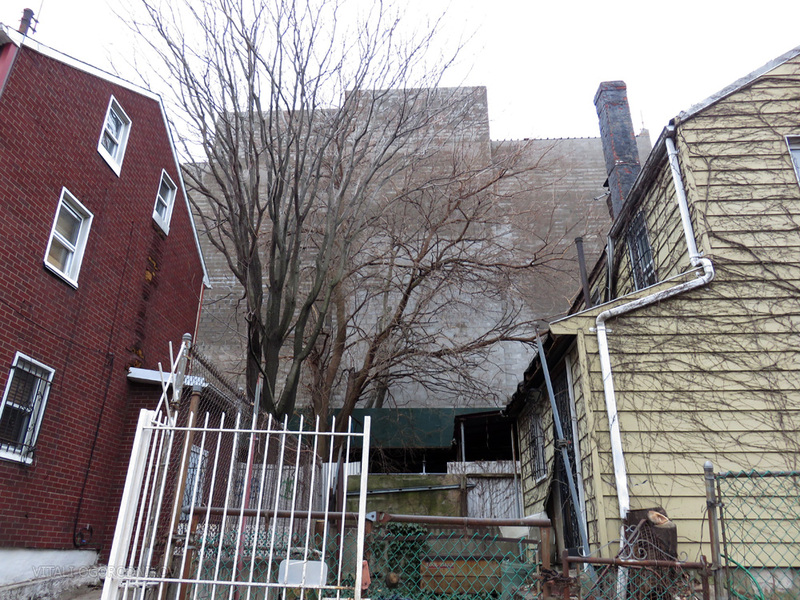 The largest community without any form of landmark protection – to Astoria’s shame.